Writer Miroslav Cosovic - whose earlier books annoyed many Serbs - is causing more sparks with his new book, which claims the famous scientist Nikola Tesla considered himself Montenegrin. Read more. Croatian experts say they fear the current centre-right government will either alter plans for comprehensive curriculum reform in a conservative direction - or abandon the reform altogether. Read more. In case you missed it: Serbian PM Aleksandar Vucic has accused Kosovo of sending special forces to attack the first train to run in many years from Belgrade to the northern, Serb-run part of Kosovo, claiming the Kosovars planned 'a conflict of broad proportions'. Read more. 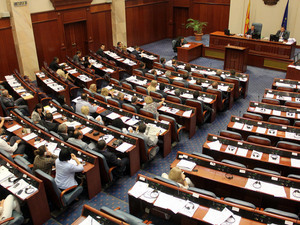 Macedonia's Parliament Speaker and hig-ranking ruling VMRO DPMNE official, Trajko Veljanoski, sounded optimistic about the forthcoming talks on the potential formation of a new government between his party and the junior ruling Democratic Union for Integration, DUI. "I am convinced that in the following period, until 29 January, all the open issues will be closed and there will be election of the new government in the parliament," Veljanovski said in an interview for Macedonia’s Sitel TV on Sunday. A group of ethnic Albanian intellectuals from Macedonia sent a joint letter to the country’s ethnic Albanian parties urging them to respect the will of their voters who, they say, clearly opted for a change in Macedonia’s leadership at the December 11 elections. 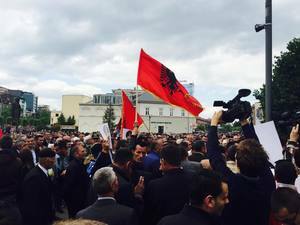 In the letter, sent over the weekend, the intellectuals warned the Albanian parties against making an alliance with the main ruling VMRO DPMNE party, which has led the country for the past decade. They also expressed their belief that VMRO DPMNE is still run by people who are responsible for the overall downfall of the country in every social aspect and who, in their view, have no credibility to continue leading Macedonia. Citizens of the Bosnian city of Zenica, who were without heating for nearly a week during the recent spell of extremely cold weather, have promised to hold an event to burn their heating bills. The Facebook page says that "Burn Your Heating Bills" will take place in early February, with citizens protesting their high utilities cost in the face of poor service. The Zenicans want to send a message to the authorities after the town's municipal heating system broke down and was not fixed for a week during temperatures as low as -16 degrees. 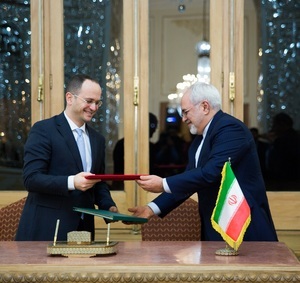 Albania’s foreign minister, Ditmir Bushati, became the first Albanian minister to visit Iran when he paid an official visit to the country over the weekend. During the two-day trip, he attended meetings with his counterpart Mohammad Javad Zarif and Iranian President Hassan Rouhani, with a focus on developing economic relations between the two countries. Bushati also asked Iranian officials to recognize Kosovo as an independent state, which he said would contribute to stability in Southeastern Europe, the Albanian Foreign Ministry stated in a press release on regarding the visit. Croatia’s agriculture ministry introduced on Monday morning a ban on keeping live poultry outside due to fears that they could be contaminated with bird flu from wild birds carrying the virus. Special teams will carry out euthanasia on all of the poultry that have already been infected by the virus. 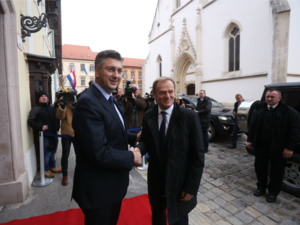 Marking 25 years since the European Economic Community formally recognised Croatia as an independent nation, the President of the European Council, Donald Tusk, called the country’s statehood "an incredible achievement" on Monday. Albania’s High Inspectorate of Declaration and Audit of Assets stated on Monday that it has opened an administrative investigation into the assets of Albanian Socialist MP and former journalist Alfred Peza. The investigation came after he was accused by media of having amassed an unjustified amount of money - around 800,000 euros – which was used by his wife to buy 1 per cent of shares in a private bank. Peza himself declared on social networks that his family earned the money through working. Former Bulgarian intelligence chief General Kircho Kirov has been charged with embezzling around 5.1 million leva (2.5 million euros) in the period 2007-2011, Bulgaria’s state prosecution announced on Monday. 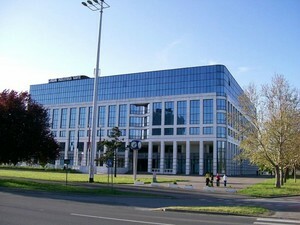 According to the prosecutors, Kirov, who ran the state intelligence service between 2002 and 2012, illegally acquired a vast amount of public money by allocating funds for intelligence activities that never took place. In 2016, Kirov became the first top state official to be jailed, for large-scale embezzlement, but later was cleared by a last-instance court. The prosecution in Bulgaria’s capital, Sofia, filed an indictment against outgoing defence minister Nikolay Nenchev with the Sofia City Court, it announced on Monday. Nenchev is accused of abuse of power that has led to failing to ensure the airworthiness and the flying safety of Bulgarian fighter jets, which has significantly damaged the Bulgarian army. According to the prosecutors, Nenchev deliberately prolonged the implementation of contracts in 2015 for the maintenance of Bulgarian MiG-29 fighter jets with Russian aircraft firm RSK MiG, which led to limiting the compulsory flying hours of Bulgarian pilots and prevented the training of young pilots. The Bulgarian volleyball team YEB Shumen 05 has made history by attracting the first-ever Iranian female player, Maedeh Borhani Esfahani, to play for a team outside Iran. Read more. Nils Muiznieks, the Council of Europe's Commissioner for Human Rights, warns that Slovenia’s proposed new Aliens Act will likely cause an unwelcome 'domino effect' along the Balkan refugee route. Read more. The Gulf states have turned into a dream destination for many young Albanians whose career paths were blocked back home. Read more. Serbian Prime Minister Aleksandar Vucic will attend the World Economic Forum in Davos, Switzerland, from January 17-20. His office announced that Vucic will have a series of bilateral meetings during his visit, including with China’s President, Xi Jinping, and US Vice President Joseph Biden. Responding to comments from Croatian President Kolinda Grabar Kitarovic that Europe received the "wrong refugees" from Syria – able-bodied men rather than vulnerable women and children, Julija Kranjec from Zagreb-based NGO Centre for Peace Studies, told regional N1 media network that according to UNHCR records, a large percentage of those being taken in by EU countries are women an unaccompanied minors. Kranjec said that the NGO had sent the Croatian President, as well as the government and parliament, a petition signed by 4,000 people urging Croatia to provide shelter and care for children from the Syrian city of Aleppo, but authorities did not respond to the plea. She also referred to Croatia’s proposed new Aliens Act, claiming it will criminalise attempts to help refugees in transiting Croatia or crossing the border into neighbouring countries. Although Kranjec mentioned that, according to the proposal, refugees can be helped in exceptional situations - when the life and health of refugees is in immediate danger, these situations have not been clearly defined. Serbian President Tomislav Nikolic told media on Tuesday that he is prepared to go to war over Kosovo if needed following comments from EU Enlargement Commissioner Johannes Hahn that Serbia’s future is in an independent Kosovo. 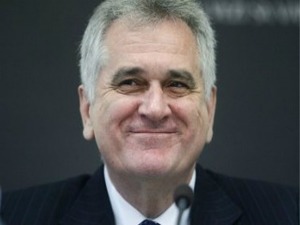 "If the future of Serbia lies in an independent Kosovo, we [Serbia and the EU] have nothing to talk about,” Nikolic told Serbia’s Tanjug news agency, claiming that in pushing for Serbia to recognise Kosovo as independent, the EU is showing itself as a “fraud”. Nikolic denied that his statements are part of an election campaign, claiming he is “saying this as a President of Serbia, not as a candidate…” adding that he cares “about Kosovo Serbs’ lives, not the ratings". Croatia’s conflicts of interest commission decided on Tuesday that it will start a procedure against Economy Minister Martina Dalic for alleged conflict of interest involving the government's decision to buy back 49.08 per cent of shares in the Croatian energy company INA, currently owned by the Hungarian energy company MOL. Dalic’s husband Niko is a member of INA’s executive board, which raised questions regarding a possible conflict of interest. It is not clear whether Dalic had any part in the government’s decision to buy back the shares, although she stated prior to the decision that she would not be involved in it. 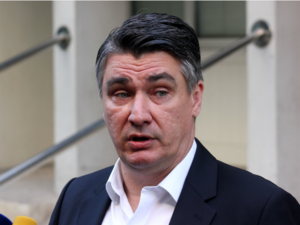 The commission also decided to investigate a case involving private Croatian PR agency Madison Consulting and Zoran Milanovic, a former leader of the centre-left Social Democratic Party, SDP, as well as Prime Minister between 2011 and 2015. Croatian media reported in July that Milanovic, as SDP president, demanded Madison Consulting pay a company allegedly owned by Milanovic's friend Igor Knezevic around 2,000 euros a month through fictive contracts. The commission had earlier explained that it would only investigate this case if the law on preventing conflicts of interest had been broken in terms of Madison Consulting doing business with the Croatian government or ministries. Bulgaria has officially asked the Greek authorities to take all the necessary measures to prevent Greek farmers from blockading checkpoints at the Greek-Bulgarian border, Bulgaria’s interior ministry announced on Tuesday. Greek farmers have announced plans to launch protests on January 23, which could include blockades of roads and border checkpoints. 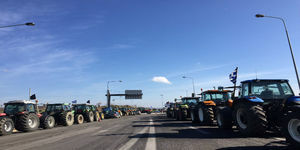 In January and February 2016, tensions escalated at the border between the countries as farmers staged a continuous blockade lasting over a month, causing serious damages to Bulgarian transport companies. The US embassy in Kosovo has expressed its support for Pristina amid heightened tensions between Serbia and Kosovo after the former decided to send a train covered in nationalist slogans to the northern Kosovo town of Mitrovica on Saturday. “Kosovo is a sovereign, independent country and we respect the right of Kosovo to manage who and what crosses its borders. We are pleased that there were no confrontations at the border, but the increase of nationalism benefits no one,” the US embassy said in a statement issued on Tuesday. In the statement, the US also reiterated its strong support for the EU-moderated dialogue between Pristina and Belgrade as the best way forward for the neighbouring countries, and urged both sides to avoid dangerous rhetoric and continue to work towards the normalisation of relations and the improvement of the lives of the citizens of Serbia and Kosovo. The activists of the Youth Initiative for Human Rights were attacked tonight at a Serbian Progressive Party, SNS, meeting, published the Initiative on Twitter. The activists attended the event, organized by the SNS in the small northern town of Beska, at which one of the speakers was Former Yugoslav People’s Army colonel and convicted war criminal Veselin Sljivancanin. "Well-built guys beat and kicked guys and girls who whistled at the criminal Sljivancanin at the event," the Initiative published on Twitter. The Initiative also added that activists gave statements to the police and received assistance from doctors. Aktivisti Inicijative fizički napadnuti i izbačeni sa tribine Srpske napredne stranke u Beški, na kojoj je govorio ratni zločinac Šljivančanin! The US Treasury confirmed sanctions against Republika Srpska president Milorad Dodik on Tuesday after he defied rulings handed down by Bosnia's Constitutional Court. Read more. With official talks on a new Macedonian government set to start within days, former MP Ismet Ramadani warned Albanian political parties against an alliance with embattled former Prime Minister Nikola Gruevski. Read more. Serbia’s economy outperformed most predictions last year – but experts say the government must not fritter away the gains in pay and pension rises, or it risks ending up where it started. Read more. President of Republika Srpska Milorad Dodik is speaking now at a press conference in response to the sanctions against him announced by the US Treasury yesterday. "I feel proud and I do not see this as a punishment," Dodik said. He said the decision to impose sanctions against him is futile "because they know I have no property in the US". Dodik said he felt proud because for years he has resisted US pressure to accept many reforms that would weaken Republika Srpska and strengthen Bosnia. He accused the outgoing US administration of being "pro-Bosniak, pro-unitarist, and extremely anti-Serb". He also said that he does not see this as an official US position, stressing that this regime has suffered political defeat in the last US elections, while he remains in politics and expects a different attitude from the new administration. He said US ambassador to Bosnia, Maureen Cormack, was a proven enemy of RS and Bosnian Serbs, and is not welcome in RS. He demanded that the Bosnian Foreign Ministry declare her persona non grata and expects her to be prosecuted in the US for interfering in the business of other countries. President of Republika Srpska, Milorad Dodik. Photo: Anadolu. Kosovo Prime Minister Isa Mustafa urged Serbia to refrain from using threatening language and to focus on dialogue amid heightened tensions between Pristina and Belgrade, the Associated Press reported on Wednesday. Mustafa’s call, delivered during a cabinet meeting, comes after Serbia decided to send a train covered in nationalist phrases to the northern Kosovo town of Mitrovica on Saturday. Following the incident, Serbian President Tomislav Nikolic has been accused by opposition politicians and experts of making warmongering statements after saying Serbia was prepared to send the Serbian army into Kosovo if needed. 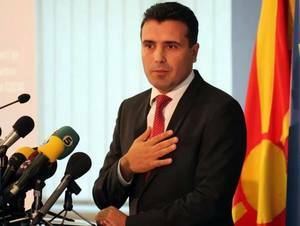 Macedonia’s Special Prosecution, SJO, has dropped the charges made against Zoran Zaev, leader of the opposition Social Democrats, in January 2015 for alleged "espionage and violence against top state officials". Former secret police chief Zoran Verusevski, who was accused in the same case as Zaev of "illegal surveillance and recording", "espionage" and "violence against top state officials", also had the charges against him dropped. Zaev and Verushevski were both charged after then Macedonian Prime Minister Nikola Gruevski claimed Zaev had threatened to publish compromising data from wiretapped conversations of state officials - that he allegedly obtained from unnamed foreign secret services - unless a caretaker government was formed that included his own party. Opposition centre-left Croatian People's Party, HNS, has started a procedure for a vote of no-confidence against Croatian Science and Education Minister Pavo Barisic. 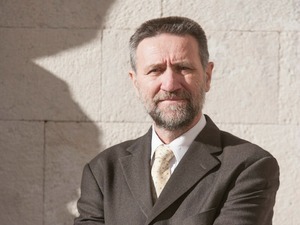 HNS wants Barisic to stepdown after the science and higher education ethics committee – the highest state body monitoring ethical values in science – said last week that he had plagiarised parts of his science paper titled "Does Globalization Threaten Democracy". 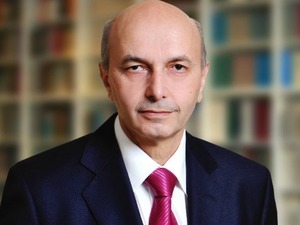 The parliament will vote on support for the Barisic within 30 days. He will have to step down if at least 76 out of the 151 MPs votes against him. 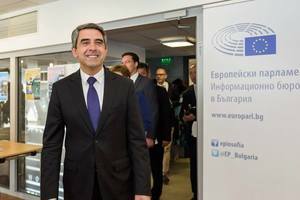 During his farewell press conference as president of Bulgaria, Rosen Plevneliev warned that the country may lose its EU presidency starting in January 2018 if it provokes divisions inside the European bloc. He called such a scenario “a national shame” and said that Bulgaria could risk changing its Euro-Atlantic geopolitical orientation. Plevneliev called his mandate as president “undoubtedly difficult but successful”, having appointed two caretaker governments and witnessed three government resignations, the last of which was in November after Boyko Borissov stepped down, during his tenure. The mayor of the Serbian town of Indjija and member of the ruling Progressive Party, Vladimir Gak, claimed on Wednesday that activists from the Youth Initiative for Human Rights who were injured in a clash at a ruling party event on Tuesday night possibly inflicted the harm on themselves, N1 television network reported. The activists said they were attacked at a Serbian Progressive Party event in Beska when they protested against the featured speaker, war crimes convict Veselin Sljivancanin. In a series of tweets posted today, a correspondent from the UK’s Channel 4, Alex Thomson, shows the grim conditions thousands of migrants are currently living in at abandoned barracks in central Belgrade. The scenes, which he describes in one tweet as “the living hell of Belgrade’s railway sheds”, show migrants squatting by open fires in the barracks, waiting in the snow for food to be distributed and graffiti on walls reading “We need help” among other things. Migrants mainly from Afghanistan and Pakistan have been using the old barracks near the railway station in Belgrade for months, but conditions have become dire after the arrival of snow and temperatures well below zero. For more about the current situation with migrants battling Serbia's icy winter weather, read our latest story from our correspondent Natalia Zaba. The Kosovo Liberation Army veterans’ association announced it will stage a protest in Pristina on Saturday to express their support for former Kosovo Liberation Army commander and ex-Prime Minister Ramush Haradinaj, who was arrested in France on January 4 under a Serbian warrant for war crimes. The appeals court in the French town of Colmar last week released Haradinaj from jail, but said he must stay in France under judicial supervision while the authorities consider whether to send him to Serbia to face war crimes charges. Bulgarian Socialists want Rumen Radev to live up to his reputation as Russia’s friend - but experts doubt that he will do much to change the country’s fundamental Euro-Atlantic orientation. Read more. A journalist who covered the conflict in former Yugoslavia takes issue with Timothy Less’ claim that the minorities whose desires need accommodating are those defined by ethnicity and religion. Read the comment piece. Belgrade clearly banked on eliciting a stormy reaction from Kosovo by dispatching a train to Mitrovica; whether this drama was a designed to put Kosovo in the wrong - or was a simple miscalculation - is less clear. Read the comment piece. Croatian Prime Minister Andrej Plenkovic and his Serbian counterpart Aleksandar Vucic will not have a bilateral meeting during the World Economic Forum which opened on January 17 in Davos, Switzerland. Plenkovic will be a speaker on the same panel as Vucic on Friday, the closing day of the forum, while he will bilaterally meet with NATO Secretary General Jens Stoltenberg and with EU Enlargement Commissioner Johannes Hahn, among others. The Croatian government formed a council on Thursday for negotiations on buying 49.08 per cent of shares in Croatian energy company INA from the Hungarian energy company MOL. 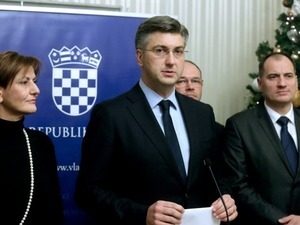 Prime Minister Andrej Plenkovic has been named as the council’s president while its other members are Foreign Minister Davor Ivo Stier, Environment and Energy Minister Slaven Dobrovic, Justice Minister Ante Sprlje, State Property Minister Goran Maric, Finance Minister Zdravko Maric, Labour and Retirement System Minister Tomislav Cikotic and state secretary in the Environment and Energy Ministry, Ante Cikotic. The Minister of Economy, Martina Dalic, has not been given a seat on the council after Croatia’s conflict of interest commission announced on Tuesday that it will launch a procedure against her due to the fact her husband Niko Dalic is a member of INA’s executive board. On December 24, the government announced that it will buy-back MOL's shares of INA after it lost an international arbitration case against MOL regarding the management rights over the Croatian company. The Croatian junior government party, the Bridge of the Independent Lists, MOST, believes the buy-back of 49.08 per cent of shares in the Croatian energy company INA, currently owned by the Hungarian energy company MOL, should be financed by putting state bonds of large state companies on the market, MOST MP Tomislav Panenic told regional N1 television network. MOST offered this proposed model of financing the purchase as an alternative to the current plan of the senior government partner, the Croatian Democratic Union, HDZ, to sell 25 per cent of the state Croatian Electricity Company, HEP, to cover the cost. Ahead of their official inauguration of Bulgaria’s new president on Sunday, Bulgaria’s incoming premier Rumen Radev and new vice-president, Iliyana Yotova, took their oath of office in front of the Bulgarian parliament on Thursday. Radev’s first speech caused tensions in parliament after he told the MPs that they have one week remaining in office, which some of the deputies considered disrespectful and left the plenary. 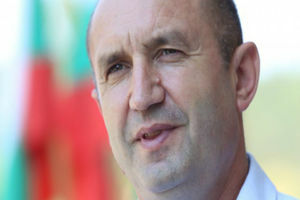 Radev is expected to dissolve the parliament and appoint interim government within seven days of stepping into office. While addressing the MPs, Bulgaria’s new president said that Bulgaria’s membership in the EU and NATO should not be put under question and pointed out the feeling of injustice as one of the most dramatic problems of the Bulgarian society. An article published by the Russian state news agency Ria Novosti on Wednesday has sparked controversy in Bulgaria by accusing US-funded NGOs of staging “a Bulgarian Maidan”, in reference to the Ukraine’s Maidan revolution, against the country’s new President Rumen Radev – seen as a friend of Moscow. The author of the text is Igor Pshenichnikov, an advisor to the head of the state-funded Russian Institute for Strategic Studies Michail Fradkov, a former director of Russia’s foreign intelligence service until 2016. Quoting Bulgarian online news sources, Pshenichnikov suggests that foreign-funded anti-Radev and anti-Russian protests will take place in Bulgaria on Saturday, a day before the President’s inauguration, aimed at “destabilization of the situation in the country”. Bosnia's State Prosecution has issued summons to the Serb member of the tripartite presidency Mladen Ivanic, the former Bosnian presidency chairman Mirko Sarovic, and prime minister of Republika Srpska Zeljka Cvijanovic, it confirmed to BIRN. 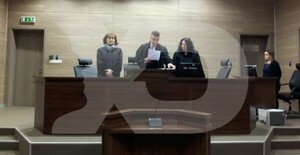 The three are being invited to a prosecution hearing in relation to the case of the Republika Srpska referendum on holding a disputed public holiday, which went ahead despite a ban by the Constitutional Court. An emailed statement from the prosecutor's office said they are called to be "questioned as suspects in the case of the criminal offence of not enforcing a decision of the Constitutional Court, under Article 239 of the Criminal Code of BiH". Croatia’s Interior Ministry announced via Twitter on Thursday that it is conducting a criminal investigation on media attacks and threats against Jagoda Bastalic, a journalist for state broadcaster Croatian Radio-Television, HRT, after a letter containing false information about her family was shared by right-wing media on Wednesday. The letter, signed with the name Dubravko Josic - allegedly a first lieutenant in the Croatian Army during the 1990s war, claims that Bastalic left HRT in 1990 to work on a radio station in the eastern Croatian town of Okucani, which was under control of rebel Croatian Serbs between 1991 and 1995. The letter also alleges that Bastalic’s father was a commander of a Serb tank division, while her brother was a captain who died fighting Croatian forces. After the letter was published, Bastalic received threats via SMS, which she informed the police of. In a letter to the EU, US and other countries, Kosovo’s foreign minister, Enver Hoxhaj, has condemned Serbia’s “numerous acts of provocation and aggression," the Associated Press reported that an official said on Thursday. The minister’s call comes at a time of heightened tensions between Pristina and Belgrade after Serbia sent a train covered in nationalist phrases to the northern Kosovo town of Mitrovica on Saturday. According to the Associated Press, the official spoke anonymously as he did not have authorization to publicly comment on the letter. The Basic Court in Pristina jailed seven Kosovo Albanians on Thursday after they were found guilty of organising and participating in terrorism. Ernest Beqiri, Fisnik Bushi and Emri Bushi were all sentenced to 4 years and 6 months in prison, three others - Fidan Ibrahimaj, Kujtim Bllaca and Vehbi Gerxhaliu – were given 3 years and 6 months, while Fitim Dema was sentenced to 2 years and 6 months in jail. Kosovo’s Special Prosecution filed an indictment against ten Kosovo Albanians in May 2015 on charges of terrorism, but the court freed one of the accused and is yet to sentence the remaining two. Federica Mogherini, High Representative for Foreign Affairs and Security, has invited Belgrade and Pristina to a high level meeting of the dialogue for normalisation of relations between Belgrade and Pristina on 24 January in Brussels. "The developments over the past days underline the need for increased commitment and engagement by the two sides through the Dialogue. Progress in the normalisation of relations between Kosovo and Serbia remains of paramount importance for both sides, for the European Union, and the Western Balkans as a whole," the EU wrote in a press release. The head of Macedonia's main opposition Social Democrats, SDSM, Zoran Zaev today met with the head of the junior ruling Democratic Union for Integration, DUI, Ali Ahmeti, the SDSM said in a press release. The two leaders "discussed in principle about the positions of both sides in this period, without getting into details on concrete issues" the party said announcing more such meetings in the near future. The meeting came one day after Ahmeti met with the main ruling VMRO DPMNE party leader, Nikola Gruevski who needs DUIs support if he is to form a new government after the December 11 early elections. After the Serbian President’s claimed he and his sons were ready to fight in Kosovo, veterans associations and the army union say it’s questionable how many would follow them. Read more. Countries in the region are pondering whether they will lose or gain from a Trump presidency – but the end results of this new era are hard to call. Read the full comment. Ministers of Bulgaria and Serbia have agreed a gas interconnector should become fully operational by 2020, helping both countries reduce their dependency on Russian energy. Read more. Border police in Bosnia today seized a machine gun and ammunition from a Serbian citizen crossing the Montenegro-Bosnia border Deleusa, the agency has reported. Kosovo Liberation Army veterans’ groups have appealed for mass attendance at a demonstration in Pristina on Saturday in support of former KLA commander and ex-Prime Minister Ramush Haradinaj, who was arrested this month in France on a Serbian war crimes warrant. “Tomorrow we expect all the fighters, political parties and all the people who protect the values of the war to join us,” said Fadil Shala, president of the Association of War Invalids. A French court last week released Haradinaj from detention but said he must stay in France under judicial supervision while the authorities consider whether to send him to Serbia to face trial. Pedja Grbin, an MP of Croatian opposition Social Democratic Party, SDP, filed a complaint on Friday against the Croatian Science and Education Minister, Pavo Barisic, for alleged conflict of interest. Grbin filed the complaint after weekly Novosti reported on Thursday that Barisic and his state secretary Matko Gluncic signed off grant funds to associations, conferences and journals they are personally linked to. On the closing day of the World Economic Forum in Davos, Switzerland, on Friday, Serbian Prime Minister Aleksandar Vucic extended an invitation to Croatian counterpart Andrej Plenkovic and Croatian President Kolinda Grabar Kitarovic to visit Belgrade at any time. While addressing media, Vucic also said that he knows how unpopular he is in Croatia and how he is negatively portrayed in the country’s media, adding that it his task to protect Serbia's interests, without threatening Croatia's own interests. Vucic concluded that both Serbia and Croatia share the will to keep peace in the region, and stated that talks between both countries are important as while dialogue is taking place, no armed conflict can start. 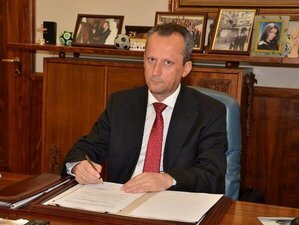 Bulgaria’s outgoing deputy minister of foreign affairs, Hristo Angelichin, has been charged with criminal breach of trust, the state prosecution announced on Friday. According to the prosecutors, Angelichin signed contracts for telephone services for Bulgarian embassies without a public procurement, which has caused around 840 000 leva (around 420 000 euros) in damages to the state budget. 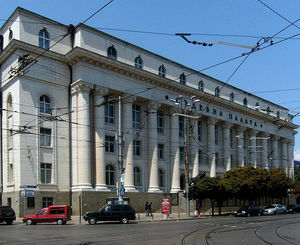 Earlier on Friday, the prosecution launched another investigation against top officials of Bulgaria’s foreign ministry related to irregularities in public procurements for transport, insurances and accommodation for business trips of employees of the ministry. President of Serbia’s opposition Liberal Democratic Party, Cedomir Jovanovic, said on Friday that he is discussing with the Democratic Party, DS, on putting their support behind the Serbian Ombudsman, Sasa Jankovic, in the next presidential election, expected to be held in March or April this year. Jovanovic said that talks between two opposition parties are needed to show people in Serbia that they are able to overcome their differences and agree on a joint candidate, which experts say is the only way for the opposition parties to win in the presidential election. He added that Jankovic is "a rarity in the society" and that it is not good for anyone to "destroy him" because of the 7 per cent of support he could get. Jankovic announced on the December 26 that he will run for the post of President of Serbia.